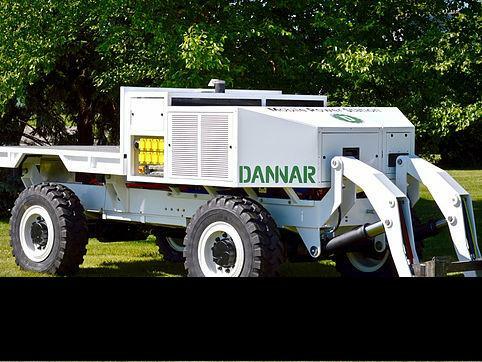 DANNAR 3.00 Series – A revolutionary electric work vehicle and energy platform that provides multi-function utility for daily off-road maintenance and emergency power for disaster response. 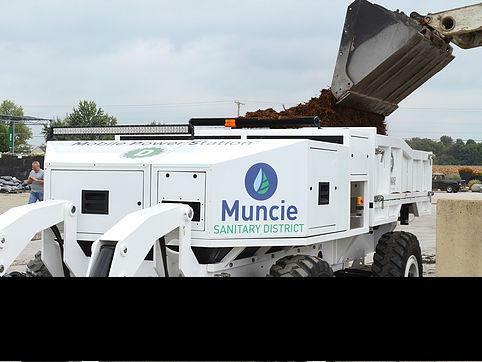 Remote controlled and available with operator platform, if preferred. 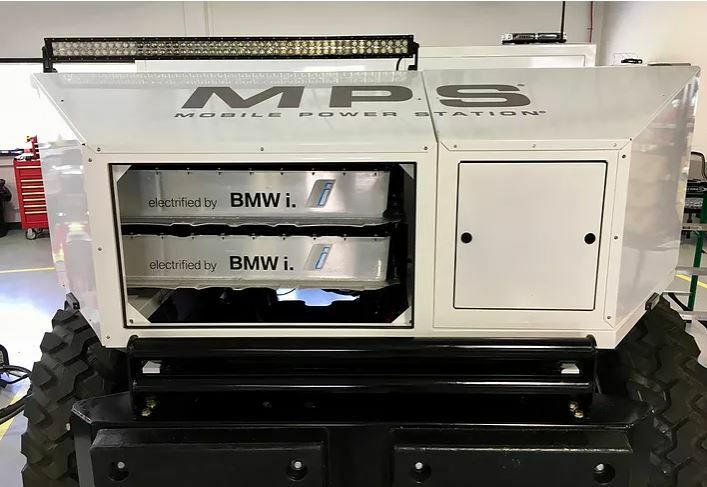 The DANNAR 3.00 base configuration comes standard with two 33 kWh BMW i3 Li-Ion battery packs (66 kWh total), and can be easily upgraded to four packs for a total of 132 kWh on-board electricity. 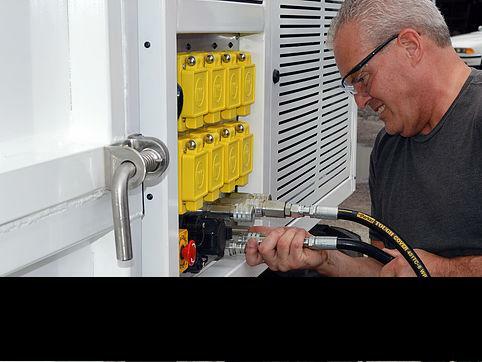 The export panel is configurable with multiple 110VAC and 208VAC outlets. 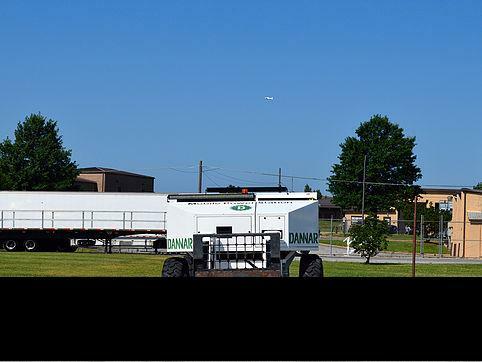 Built on a heavy-duty steel ladder frame, the DANNAR 3.00 can easily be equipped with an optional open operator cab platform equipped with a joystick, foot pedal and touchscreen tool control. 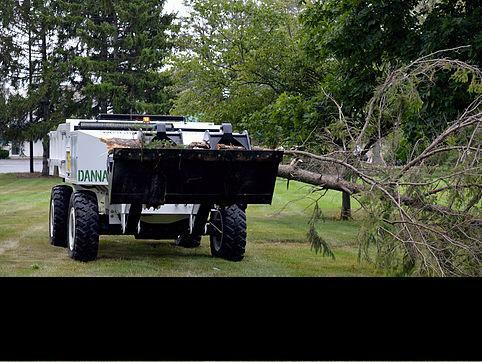 Base model comes standard with a flat bed and universal quick attach mounting plates that can receive any standard CAT®, Bobcat® or John Deere® attachments. 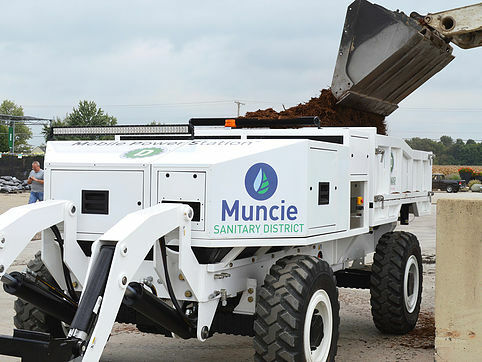 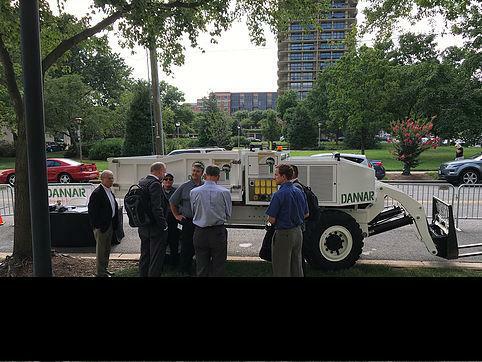 The DANNAR 3.00 is submersible in up to four feet of water, carries Type I, II and III hydraulic tool circuits, and has four-wheel, multi-mode steering. 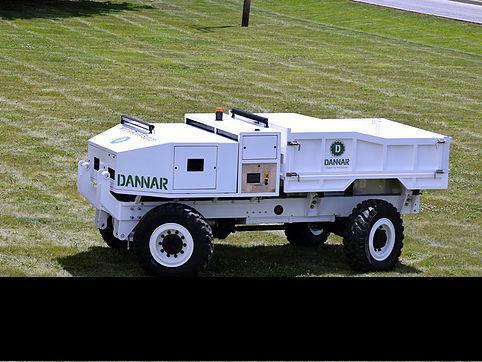 In the DANNAR 3.00 open platform configuration, it can accommodate additional BMW battery packs with up to 198 kWh of energy storage. 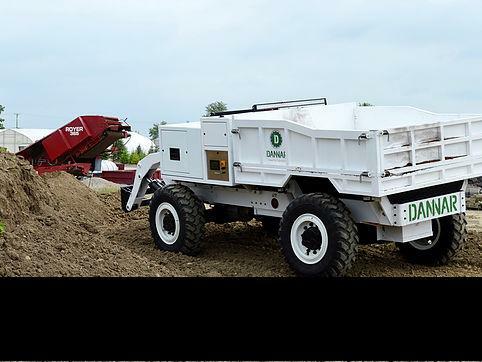 An optional Cummins Tier IV generator can also provide 60 kW of continuous export power and battery recharging. 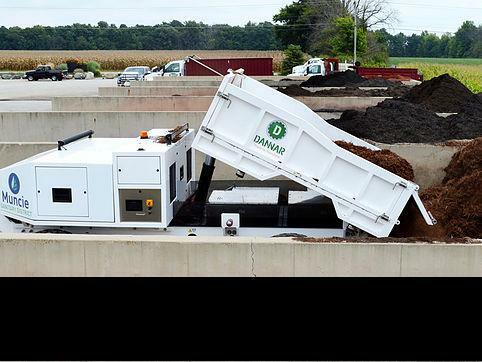 See our revolutionary DANNAR 3.00 in action. 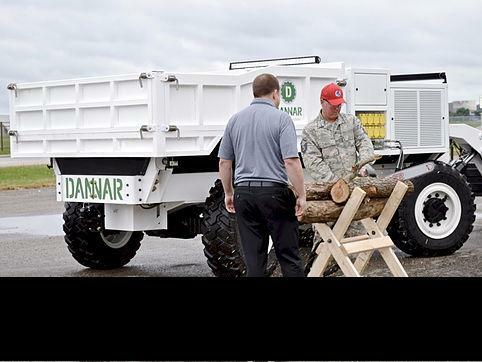 Check out the videos in our video library to see how DANNAR can meet all of your work needs.